Policemen in Ogun State have arrested one Ehioboh Lucky for impersonating a billionaire businessman, Dr. Mike Adenuga Jr. 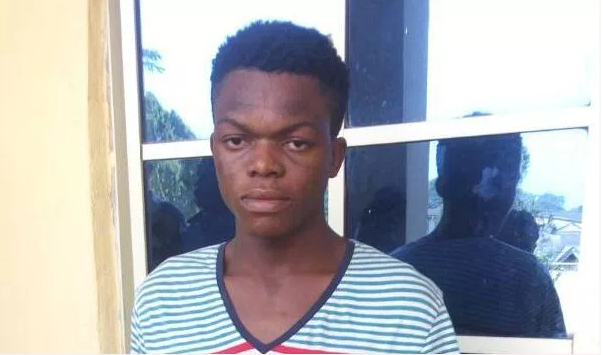 While parading the suspect yesterday, the spokesman of Ogun State Police Command, Abimbola Oyeyemi, said Lucky was arrested on November 6, following a complaint by one Abiola Olalekan Ogunseye, who claimed the suspect defrauded him of N1,028,770. Oyeyemi said the suspect, who hails from Edo State, had opened a Facebook account with the name and picture of the business mogul, which he has been using to defraud unsuspecting members of the public. “One of his victims, Abiola Olalekan Ogunseye, came into contact with him on Facebook where he promised to get employment for him at the Nigeria National Petroleum Corporation (NNPC) and asked him to pay the sum of N1.5 million to ‘settle’ some members of the management of the corporation who will influence his appointment. “The sum of N1,028,770 has so far been paid to the suspect before the victim realized that he was a fraudster. "The victim lodged complain via a petition to the Ogun State Commissioner of Police and Officer in Charge of Anti Kidnapping and Cultism, CSP Opeyemi Kujore was directed to go after the suspect. "After weeks of investigation, the suspect was apprehended on Monday 6th of November, 2017. Recovered from him are one iphone 6, a laptop, eight different SIM cards, five different ATM cards and one international passport,” Oyeyemi said. The spokesman, however, said the suspect will be charged to court as soon as investigation was concluded.